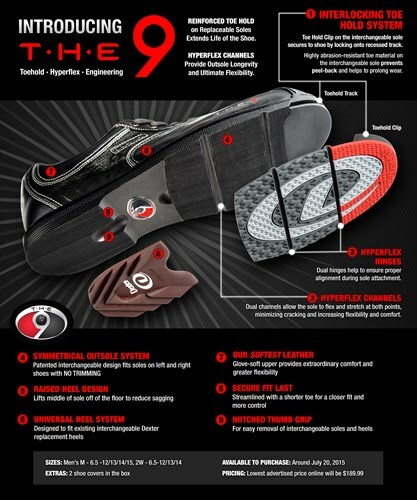 Need a high performance wide width bowling shoe? Dexter Women's THE 9 bowling shoes can take your bowling game to a level you never dreamed of. Toehold Hyperflex Engineering (THE) increases the flexibility and durability of this high performance shoe. Every detail of this shoe has been carefully developed to make this the most high performance and comfortable shoe on the market for bowlers who need a little extra width. How are these shoes with people with toe drag? 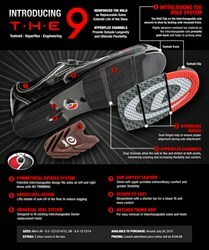 They will handle pretty well but we recommend to add the Dexter Max Powerstep T3+. Unfortunately, all other slides will have to be purchases separately. Due to the time it takes to produce the Dexter Womens THE 9 White/Silver Crocodile Right Hand or Left Hand WIDE WIDTH ball it will ship in immediately. We cannot ship this ball outside the United States.